The number of babies born by C-section has been steadily on the rise in the United States since 1996. According to the U.S. Centers for Disease Control and Prevention, these numbers are up 60%. In Massachusetts, one in three women will now have a C-section, compared to one in five in 1997. The Department of Public Health published a report that showed C-sections were up from 10 percent of all births to now over 35% of all births in the United States. While some of these surgeries are elected by the mother, others are opted for by obstetricians to prevent injury during childbirth. Despite the benefits and popularity of C-section, new guidelines are also urging doctors to reduce the number of C-sections performed to prevent serious injury or death to mothers and infants. The guidelines, published by the American College of Obstetricians and Gynecologists, urge doctors to opt for vaginal delivery in the absence of any complications. The new guidelines also suggest that women should not be able to elect C-section before 39 weeks. Birth injuries related to C- section have been on the rise; however, the failure to perform a timely C-section could also result in injury or death. Our Boston birth injury attorneys are dedicated to protecting the rights of patients who have suffered injury as a result of medical negligence. We will take the time to review the facts of your case and aggressively pursue maximum compensation on your behalf. In addition to representing clients in medical malpractice cases, we are also committed to raising awareness regarding birth injuries and risks to mothers. It is widely known that there are inherent risks in performing a C-section delivery. For one, the surgery is highly invasive and can pose significant risks to both mother and child. In addition to the physical risk of C-section and longer recovery period, the surgery is most costly for patients and hospitals. 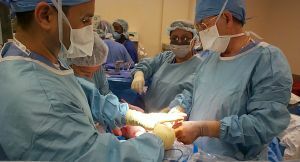 While some medical professionals have been advocating for the reduction in C-section surgeries, others have recognized the inherent risk of failure to perform a C-section. Two more medical organizations have put forth additional guidelines that call for doctors to wait to perform a C-section. The guidelines state that women should push longer and harder and remain in labor longer to determine if a baby can be delivered vaginally rather than by C-section. The new recommendations are tied to recent studies that have indicated a rise in C-sections over the past decades. Some medical professionals suggest that the C-section does not create better results for mother or child. What if a C-section is necessary to prevent maternal injury? What if a C-section is necessary to ensure proper oxygen and blood flow to the infant during delivery? Failing to perform a needed emergency C-section could also be harmful, even deadly for a mother or her infant. The new recommendations could present additional complications in cases where a mother is in need of a C-section surgery. If you or someone you love was injured during childbirth, you may be entitled to significant compensation. C-sections can save lives when performed at the appropriate time. It is important for doctors to properly weigh the risk of labor against the benefits possible through a C-section surgery.